Satoru Aoyama He was born in 1973. After graduating from Goldsmiths College, London, He completed a master’s degree at the Art Institute of Chicago Graduate School of Fine Arts. Through his delicate embroidery works which was made with using an industrial sawing machine for mass production represent relationship between our contemporary life and technology. And it lets him to raise questions about our problem that we are losing creativities and sensitivities in our life. He has participated in many exhibitions including “Storyteller” (Aomori Contemporary Art Centre, Aomori, 2012), “Meguro Address” (Meguro Museum of Art, Tokyo, 2012) and “Roppongi Crossing 2010: Can There Be Art?” (Mori Art Museum, Tokyo, 2010). Zoë MurdochZoë Murdoch lives in Belfast and has been based at QSS Studios since 2001. In 2012 she was elected as an Associate Academician of the Royal Ulster Academy. Murdoch has had two solo shows in the Queen Street Studios Gallery and a one person exhibition at the Fenderesky Gallery, Belfast. Murdoch’s work has been exhibited in a wide range of group and theme based shows throughout Belfast and Ireland and has been included in shows in London, China, Hungary, Nice and America. She received the ‘Robinson Mc　Ilwaine Architects “Original Vision” Award’ from the RUA in 2010 and 2007. 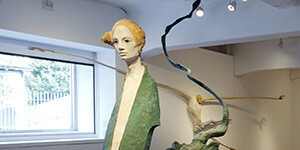 Her work is part of the Arts Council of Northern Ireland’s Collection and numerous private collections. Murdoch’s works are generally drawn from memories, literature and external influences that have struck a deep chord within her. 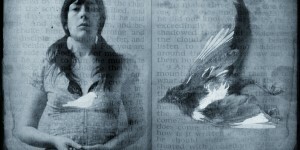 An essential repetitive theme within Murdoch’s work is boxes – containers which have connotations of secrets, protection, mysteries… Her art incorporates found objects, collage, photography and text and she often relies on chance in the way she sources materials; abandoned artifacts, objects dropped on the street, a sentence from a damaged book; other people’s rejections become her treasure. 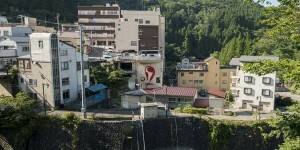 Cohta AsanoAsano is an architect who was born in Fukushima in 1983. He completed his Masters in SFC Politics and Media course at Keio University. He returned to his hometown, Fukushima. He founded “BHIS” which works for the concept of “The design not exceeding architecture”. He has directed “Big wrapping cloth in Fukushima” (2011) and “Stop and think” (2012) with Tohru Nakazaki in “Project FUKUSHIMA”. As an art director he designed Many turrets for a Bon Festival dance for enjoying the cool of the evening. Since 2000 he has made a lot of wood sculptures. He has deep connection with Haisyakkei, Toride since the space started. He has participated in exhibitions including “Haisyakkei/Making smoke for nothing ” (Haisyakkei, Toride, 2014), “International exchange Sculpture Exhibition 2013” (Sanyi wood sculpture museum, Taiwan, 2013), “Self-portrait sculpture : metamorphosis animal” (Tokyo Wonder site Hongo, Tokyo, 2011), “FLY FORMOSA” (Taipei Artist Village / Taishin Bank, Taiwan, 2009) and “Dis-Communication” (Sungkuk Art Museum, Seoul, 2007). Shingo ArugaHe was born in Nagano in 1983. He completed with his Doctor from Tokyo University of Fine Arts. Main colors of his work are based on black and yellow. He has used various medium for his works. He has participated in many exhibitions including “SSS – Space Spiral Spirit” (Art Center Ongoing, Tokyo, 2014), “Orgasmic Reproduction” (Chateau 2F, Tokyo, 2014), “Trans Arts Tokyo 2013″ (Tokyo, 2013) . Yuki Iiyama She was born in Kanagawa in 1988. She graduated from Joshibi University of Art And Design, Kanagawa with a bachelor’s degree in 2011 and in 2013 she finished her Master of movie in Tokyo National University of Fine Arts, Tokyo. She had solo exhibition “Steam Smoke Imperial” at JIKKA, Tokyo, 2013. In her work she mainly uses her private records of internet auction where many people concerned with the trading and she uses various media to represent them as an art project. Area Park He is a photographer who was born in Busan, South Korea in 1972. He lives and works in Korea and Japan. 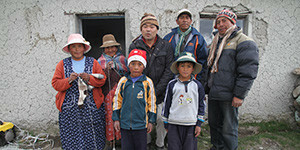 He studied and completed his Master for documentary photography in the university. He has had solo exhibitions including “The road of photography – Picking up a photo album in Miyagi”, Atelier Hermes, “A Wanderer’s Notebook”,Goeun Contemporary Photo Museum and “City boy”, Kumho museum. He has participated in numerous group exhibitions including “Gwangju Biennale”, “Daegu Photo Biennale” and “International Photography Festival in Arles”. 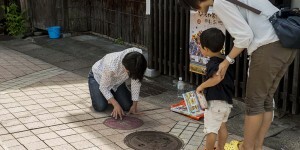 Since 2011 he has kept taking documentary photos about “2011 Tōhoku earthquake and tsunami” up to now. 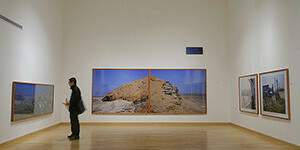 He will have so exhibition in National Museum of Modern and Contemporary Art, Korea in 2015. Mai EndoShe was born in Hyogo in 1984. She is an actress and an artist who who lives in Tokyo. She regards acting as action to touch heart of others. Her video work which was taking a shot of acting of an actress called, “Talking about her, with her words”(2013) , Workshop she tried to share something obscure of other people with all others called “No talking secret to others” (2013). She founded “Twenty-two meeting” with Mihoko Watanabe who is a producer. Kawaguchi Haruka She was born in Chiba in 1985. She graduated with a bachelor degree in oil painting from Musashino Art University. She founded “22:00 Gallery” in Tokyo. She makes art works which use her body and bodies of audience as medium. L+ Pak Sheung Chuen (b. 1977) is the convenor of L＋. He is a Hong Kong artist. Between 2003 and 2007, he was a regular visual-arts columnist for Ming Pao Daily. 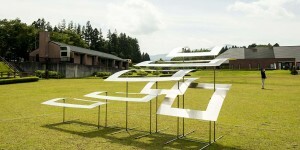 Pak has participated in platforms such as the 7th Taipei Biennial (2010) and the 3rd Yokohama Triennale (2008). 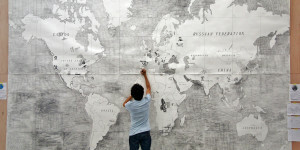 He also represented Hong Kong at the 53rd Venice Biennale in 2009. In 2012, Pak was awarded “the Best Stand Prize” in the Frieze London, “the Best Artist” of Contemporary Chinese Art Awards (CCAA 2012) and Hong Kong Arts Development Awards (HKADA 2012). L＋formed “Heaven’s Corners” and [ ] in 2014. L＋is an artist collective with core members Wo Man Yee, Lee Soen Long and Yim Sui Fong. Jun Kawada He was born in Saitama in 1983. He graduated from Musashino Art Faculty with a master degree in oil painting in 2007. He had trained his art practice in Yotsuya Art Studium from 2006 to 2009. He makes video works with using his body and imagination. 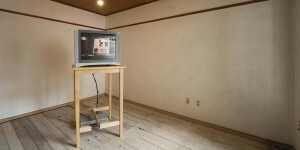 He has exhibited his works in his solo shows including “KENNAI” (Hiroshima Art Center, Hiroshima, 2013) and “Forgetfulness of a look” (22:00 Gallery, Tokyo, 2012). He participated in group shows including “Screen” (HIGURE, Tokyo, 2014), “Let’s throw away your book and hit the town!” (Koganecho Art Center, Site A gallery, Kanagawa, 2013), “Hiroshima Ah Hiroshima Fukushima” (The fomer branch office of the Bank of Japan, , Hiroshima, 2012) and “NAKANOJO Biennale 2011″ (The former building of Gotanda school, Gunma, 2011). Takayoshi KitagawaHe is an artist who graduated from Musashino Art University with a bachelor of architecture. 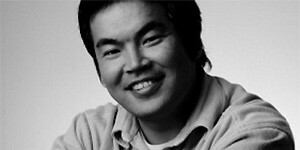 Daisuke KishiiHe is a playwright who was born in 1970. He graduated with a bachelor degree in Literature from Waseda University. In 1995 he had experimental activities to perform something not originally from a theatrical play on the stage. The project he regarded the process of playing back memories draws actions as a theatrical play which called, “Playing back memories”. A play of each decision how to perform has depended on the spots on a dice called,“P”. How to play has depended on the town which called “POTALIVE”. He represented the place to join the group as a play. 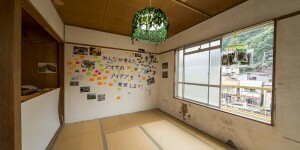 It called “LOBBY”, The workshop which the group formalize how to create a play called, “Creating a work / Creating a play”, The project which represented Japanese people through Japanese language called, “Text (written language)”. From 2009 to 2012 he has been playing “The Human Condition” (which was written by Hannah Arendt) as a drama in Tokyo. This project called ,”The Condition of Tokyo”. Shun Sasa He was born in Miyagi in 1986. He lives in Tokyo. 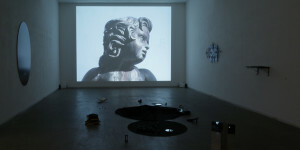 He uses sound, construction, texts and video to create complex of fiction and reality with multitiered representation. Nobuhiro KuzuyaHe was born in Ichinomiya, Aichi in 1981. He graduated with bachelor degree in oil painting from Kanazawa College of Art. He completed his Master in mural painting from Tokyo National University of Fine Arts and Music in 2008. 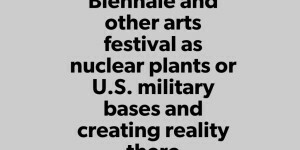 With modifying the place and the condition he has been creating something newly significant and/or raising questions within the system of the society. So in his project the outcome of the project can be any medium like the place, the condition, etc. 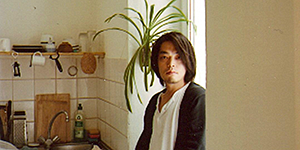 In 2011 he has founded “Art Space / Bar Konfuri”. He also founded “HAISAKKEI AIR program”. In 2013 he has founded “Toride artists real estate”. He became a town planning chairman of the executive committee of the murals of Toride City. Kazuhiro Satoh He was born in Fukushima in 1963. 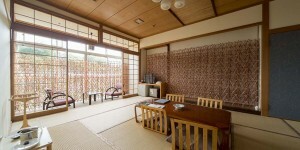 He has inherited a local photo studio in Tsuchiyu Onsen as the third generation, which has 80 years history. He finds it’s the most important matter for customers to take pictures of them accurately without any mistake in their most important moment. He has kept taking many pictures of vintage Kokeshi dolls as his lifework and he has kept researching about local histories. He tries to be a necessary man locally with joining activities of local fire man apart from his job as a professional cameraman. Ryo ShimizuRyo Shimizu is an artist based in Tokyo. His recent works explore the reconfiguring of space and symbols and the effects these acts have on perception and cognition. 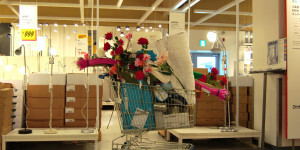 Ryo has exhibited work at the Museum of Contemporary Art Tokyo, the Towada Art Center and so on. 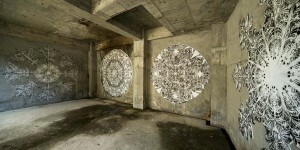 SUIKOGraffiti artist SUIKO was born in Oita, Japan. He grew up in Hiroshima and the city became the base for all of his artistic activities. Becoming interested in graffiti in high school, SUIKO started painting on walls after graduation. Focusing on letters, his work is expressive and full of bubbling shapes, dynamic line, and vibrant color schemes. Traveling throughout Japan, Europe, and other parts of Asia, SUIKO looks forward to working with artists from around the world whose style and cultural backgrounds are different from his own. These experiences along with calligraphy and Ukiyoe (Japanese woodblock prints) inspired his dynamic Chinese character designs, which have become his original style. SUIKO lives and works in Japan and is considered one of the country’s leading graffiti writers. Kouichi TabataHe was born in Tochigi in 1979. He completed his Master in oil painting from Tokyo National University of Fine Arts and Music in 2006. He has participated in many exhibitions including “Chronicle 1995-” (Museum of Contemporary Art, Tokyo, 2014), “interior / pare / exterior” (Joyce Gallery, Beijing, 2013), “THE ECHO – SPREADING OF LIGHT” (The Japan Foundation Cologne, 2013), “trace of images” (Gallery Koyanagi, Tokyo 2011). He is represented by Yamamoto Gendai, Tokyo. He has participated in many exhibitions including “Color Walls” (TIME & STILE MIDTOWN, Tokyo, 2014) ,“1974 Chapter 1, Born in 1974″ (Gunma Prefectural Museum of Modern Art, 1014) and “Humor and Leap of thought – Far beyond our recognizable world” The satellite exhibition of Aichi Triennale 2013 (Okazaki City Art Museum, Aichi, 2014). Chie Konishi + Nao Sugaya + A.Y.K.K.project The group was formed in 2014. With researching common events around us in terms of authority they represent harrasment venomously in the exhibition, the event or the documentary. Recent activity is “Extra news / Distributing flyers / Performance” (Shinjuku). BARBARA DARLINg He was born in Niigata in 1981. Shiro Masuyama Shiro MASUYAMA is a Japanese conceptual artist who was born in Tokyo, Japan in 1971. He completed his Masters in Architecture in 1997 at Meiji University, Kawasaki Japan and since 2002 he has worked nomadically and developed his professional practice, taking part in residencies all over the world including: IASK (The National Museum of Contemporary Art Korea), South Korea (2008); Irish Museum of Modern Art, Dublin (2006); Künstlerhaus Bethanien, Berlin (2004-05); International Studio & Curatorial Program, New York (2002-2003). He was based in Berlin for 6 years from 2004. Since 2010 he has re-located to Belfast, Northern Ireland and has become a studio holder and co-director of Flax Art Studios since 2013. 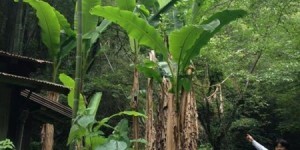 His works are fundamentally site specific, inspired by the environment in which he lives. He works in a variety of media including installation, sculpture, performance, video and photography. 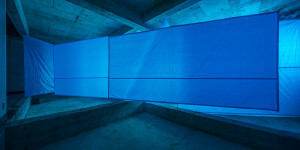 MASUYAMA has exhibited widely locally and internationally including solo exhibitions at Leitrim Sculpture Centre, Ireland (2012); Golden Thread Gallery (2011); Water and Sculpture Hills Ichiara Museum, Chiba, Japan(2010) and group exhibitions including “Aichi Triennale 2013”, Japan(2013). He has received numerous awards including the Individual Artist’s Award from the City of Culture Derry~Londonderry (2013); the Pollock-Krasner Foundation, New York (2009-2010); Japanese Government Oversea Program for Artists, Japan (2004-2005); Pola Art Foundation, Japan (2002-2003). Yasuto Masumoto He was born in Hiroshima in 1981. He had lived in Lisbon, Portugal from 2007 to 2008. He lives and works in Kyoto. He founded “The Academy of Alter-globalization” with Grêmio Recreativo Escola de Política. 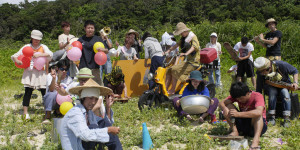 He organizes “Picnic” with an art critic, “Atushi Sugita”. 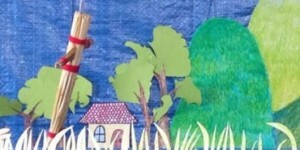 His recent activities including “aaccrroobbaatt”, drawing, publishing a book, lecturer and “ARTISTS ‘GUILD”. Tatsuo MajimaHe was born in Tokyo in 1970. He was graduated from University of London Goldsmiths College of Art. He is a lecturer of oil painting course in Musashino Art University. He lives and works in Tokyo and Oita. His works have unique humor based on his drastic research. He uses various medium of photography, video and performance in his works. His recent exhibitions including “Untitled (All the right moves)” (TARO NASU, 2012), “But Fresh” (Tokyo Wonder Site, 2012), “Beijing Diary” (TARO NASU, 2010). Tohru MatsushitaHe was born in Kanagawa in 1984. He graduated from Tokyo National University of Fine Arts with a bachelor degree in intermedia art. His painting and mural painting works are based on the research about the street art and Lowbrow. Midori Mitamura She was born in Aichi in 1964. She is based in Tokyo. Takashi Hokoi He was born in Kanagawa in 1984. He lives in Fukushima. He completed with his Master in design course from Tokyo University of Fine Arts. He is an artist who makes kinetic sculptures which move with wind power. He attended TV contest of airplane which flies with man power when he was a student. Because of the experience which the light wind had interfered with his airplane’s flying, he got inspired to make works which move with wind power. He moved to Fukushima as a TV cameraman for Japan Broadcasting Corporation (NHK). But just last year he retired the job. 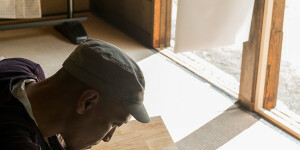 Now he is based in Fukushima to work as an artist. Ursula BurkeUrsula Burke is an Irish artist who works in a variety of media including Sculpture, Photography and Porcelain. Much of her Fine Art practice deals with issues of Representation and Identity within contemporary Ireland. She undertook a practice based PhD at the University of Ulster Belfast. She was awarded the Arts Council of Northern Ireland British School at Rome Fellowship in 2014. 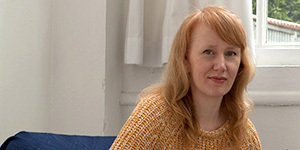 She has exhibited nationally and internationally, including Art of the Troubles, The Ulster Museum, 2014; June Mostra, British School at Rome, 2014; Spazi Aperti, Romanian Academy, Rome, 2014; The Past is Unpredictable, FE. Mc William Gallery, Banbridge; Hope for a Better Past, The MAC, Belfast, 2013; SCOPE New York Art Fair 2014, 2013 and 2012 & Instances of Agreement, Kao Yuan Art Centre, Taiwan, 2011. Her work is part of the collection of the Arts Council of Northern Ireland, the Office of Public Works, Ireland and in private collections nationally and internationally. She is currently Curator in residence at PS2 Gallery. She is an artist member of Outland Arts, and represented by the Golden Thread Gallery, Belfast. yudoCore members of Yudo are Hidenori Kondo (Creative Producer) and Kengo Nakamura (Artist). They started their activity like their playing in “Mixed Bathing World” in Beppu Contemporary Art Festival. Their slogan is “Throw away your weapon! Let’s have a bath together!”. According to the idea of “A way of communication through a bath” they organize tours of public bath and hot spring in Japan without hustle. Syo Yoshihama He was born in Okinawa in 1985. He has graduated from Okinawa Prefectural University of Arts a bachelor’s degree in oil painting in 2010.